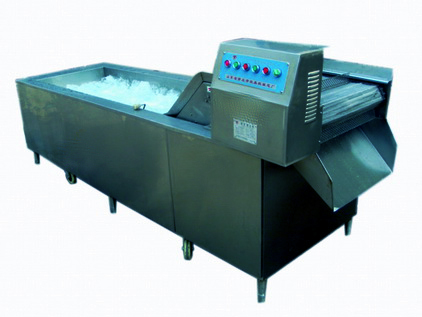 At Food Machinery Online we provide a wide range of used vegetable processing machinery to suit your development and production needs. These consist of machinery including root cropping lines, spinach processing, leaf washers and a variety of different cookers and defrosters for use with such processes as potato and carrot processing, onion peeling etc. Quality, hygiene and precision are the most important factors when it comes to vegetable processing machinery. This is why we only provide the best possible vegetable processing machinery systems and equipment available on the market to ensure that we can provide a quality service to our customers and that they can prove a quality service to theirs too. We supply our vegetable processing machinery worldwide to countries including Australia, New Zealand, Serbia, India, South America, USA, Europe, Poland and Africa. We have an excellent client base and our online success has grown due to our excellent customer service and competitive pricing. If you would like more information on our vegetable processing machinery, feel free to contact us on (0044) 01472 267524.